Public speaking is a gift worth nurturing. It’s a tool, when harnessed to the maximum can deliver vital results in ensuring you are able to accelerate within your career. 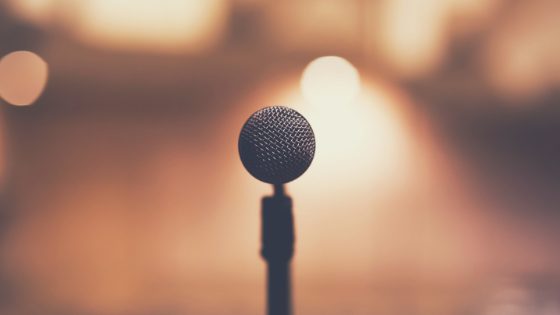 We’ve all heard that public speaking requires practice to develop confidence, but what about the things we should avoid once we do become a regular speaker? I’m going to be honest with you, it’s 11 years now and no matter how much I practice or how often I deliver a talk, I’m always a tad nervous before I step on stage. Don’t worry, its normal. But you just got to start off with a bang! Firstly, never underestimate the value of the personal connection you may have with the audience, something I call the ‘Human Touch.’ How you do this starts well before the event itself. It all begins with the pre-event planning and preparation. Share your story and insight into what the audience can expect. Create a sense of suspense and get them glued to wanting to listen to your talk. This creates a sense of buzz and excitement. The sense of anticipation to want to hear what you have to say and make it relevant to the audience. Secondly, it all comes to how you deliver your talk. Your tone, your voice, your body language and also the frequency in which you talk. Create a sense of excitement, then narrates the twist within your story. Make it engaging and appealing but never leave the audience with the feeling of ‘Now What?’ I’ve learnt from my early days, that during a talk, you are taking the audience on a journey with you, you feed them key and vital information, and so make sure you provide a post event action to ensure they can work on this without leaving them hanging once you leave the room. I’m sure you’ve all been to an event where all you’ve seen is the speaker talking facts and information, whizzing through slides without any conviction or lacking oomph with the style of presenting. I avoid this through the narrative of storytelling, ensuring I embed the key facts and information in a way that balances with a story I tell and makes it relatable and easy to consume and digest for the audience. Try to avoid chunky PowerPoint slides when delivering a live presentation as it is highly unattractive. But if you truly need it, use the minimalist content and use it as a reference to keep you on track, so you deliver in sequence. I like to use tools as an alternative and in most cases, simply improvisation. But that takes practice and pre-planning, where I’m aware of what I have to cover and when. Finally, are you someone who wants to master the art of Public Speaking? Overcome stage fright and truly develop powerful vocals? Or perhaps kick start a career as a professional public speaker? Then register your interest for my upcoming 6 week online modular public speaking course, where I will guide you through every step to get you stage ready to deliver show stopping presentations.